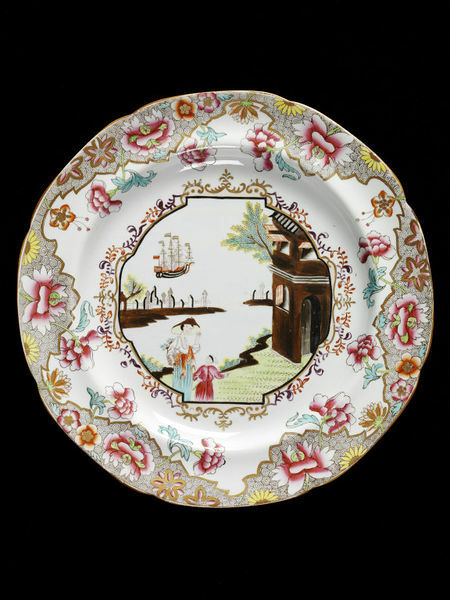 Plate of lead-glazed earthenware painted with enamels and transfer-printed. In the middle is a lady and child walking by a river. Border of foliage and scrolls. 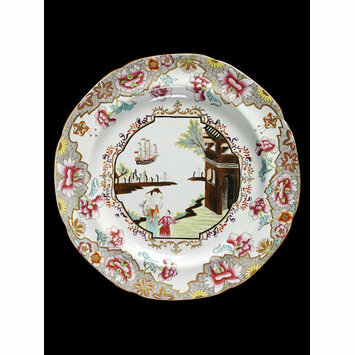 Plate of lead-glazed earthenware painted with enamels and transfer-printed, made at the factory of Josiah Spode, Stoke-on-Trent, ca. 1820.